Our award-winning guides’ local knowledge, their enthusiasm with guests and helpful insights along the way are what delivers the Auswalk difference. All have the training and qualifications to ensure you have the most fun on your walking holiday and return safely with a greater understanding and appreciation for the area. Our guides love what they do and are passionate about creating memorable walks to share with everyone. You'll certainly be in safe hands with Marie. 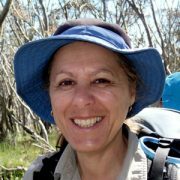 She has over 30 years of teaching and guiding experience and is Auswalk’s longest serving guide. There’s virtually no Auswalk trip Marie hasn't been on, but her favourite remains the Great Ocean Walk, which she’s walked over 60 times. 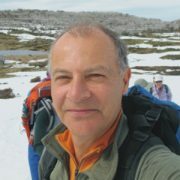 Paul’s an expert on Victoria's Alpine and Western Australian walks. His passion for photography makes all the trips he guides even more memorable. Never short on walking stories – Paul’s adventures have taken him around the world. Katie brings with her years of experience guiding for many different outfits. Her fun and bubbly personality means there’s never a dull moment for walkers. She has a passion for nature and won’t hesitate to share her vast knowledge of the Australian Outback, particularly its flora and fauna. 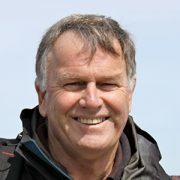 Bill’s outdoor knowledge is second to none, having spent 30 years running outdoor education programs. 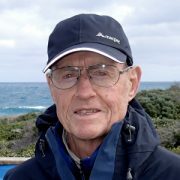 There's nothing Bill can't tell you about walking in South Australia or Victoria, drawing from his own unique experiences – something you won't find in the guidebooks. 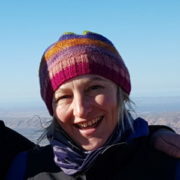 Affectionately known as “Dr Merel”, her understanding of nature is informed by a background in biology, evolution and ecology. 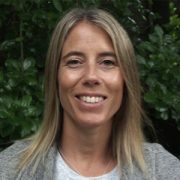 Merel has guided trips all over the country and to locations as far flung as Antarctica, the Hebrides and the Madagascar. Yet her speciality remains Australia, exploring the few parts we don't yet go to, developing new trips for us. Hugh's love for adventure helped him find his way from the UK to Outback Queensland. He forged a relationship with country Australia while working on his Tasmanian farm. 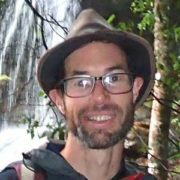 His knowledge and expertise is that of a local, which comes in handy when delivering our walks on Flinders Island and the Tasmanian mainland. 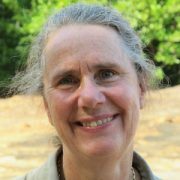 Denise is one of our longest serving guides and is one of our Top End experts with qualifications both in the Red Centre and Kakadu. However, she’s no stranger to snow, living next to the slopes in the Snowy Mountains. 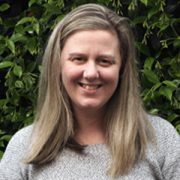 The other regions Denise guides include the Flinders Ranges, far north Queensland and Kangaroo Island. 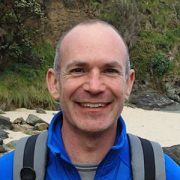 Gavin has taken Auswalkers all over the country as one of our longest serving guides. A local of the Snowy Mountains, his knowledge and expertise extends to the Northern Territory, Kangaroo Island, North Queensland and the Flinders Ranges. Dan turned his passion for the outdoors into his dream career, with qualifications in geography, arboriculture and habitat conservation. His years hiking in Alaska, Spain, NZ, and Australia would make even the most avid walker envious. An extensive knowledge of the environment and nature makes walking with Dan an immersive experience. Bec has been wilderness guiding for almost a decade. In her spare time she loves to explore the long distance track networks in the wild parts of Australia. Taking on challenges like walking solo on the Larapinta from end to end are part of her daily life. She is also a keen mountain biker. 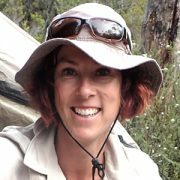 Kat has been guiding trips in the Red Centre and Tasmania for almost a decade. She has a particular love for the Larapinta. 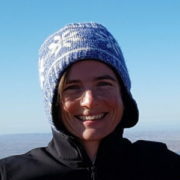 Her love for walking and yoga are synonymous with Auswalk's philosophy of getting people out of their comfort zone and reconnecting with themselves and nature. 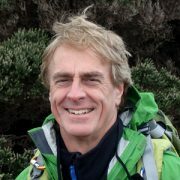 Rick’s special interests are ecology and supporting nature-based adventures. 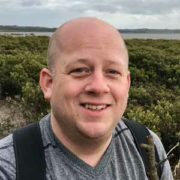 With 15 years of guiding experience across Australasia, SE Asia and Eastern Europe, he brings a locals insight and passion to our walks in the Blue Mountains. On any other day Rick may be found facilitating bush adventures for local youth, or rock climbing on the mountains rugged sandstone cliffs. “The guides were knowledgeable, genuine, welcoming and very professional at managing a group of different personalities to ensure everyone has the best experience possible”. Brett is a walker from way back. 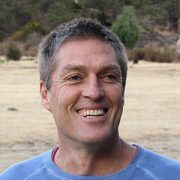 He’s been all over, including the Himalayas, the Andes and the Inca Trail, hikes in Africa – and everywhere Auswalk goes. He’s also lived and worked overseas in Africa, India and Europe. Before starting at Auswalk, Brett spent time working with kids and driving tourists around Australia. It’s no surprise he’s most passionate about walking alongside fantastic people in this beautiful country he calls home. 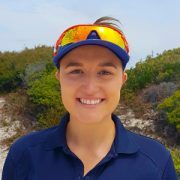 Tash has travelled extensively for work and had previously been promoting South Australia overseas as part of the SA Tourism Commission. Once repatriated, she held an executive role at Ansett, the former domestic airline group. Her prior experience in travel and tourism adds a wealth of knowledge to her role as Office Manager. Maja is no stranger to walking holidays, having first worked for Auswalk in 2009. 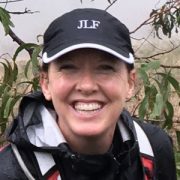 After a number of years in the Halls Gap office she left for her right of passage European trip, returning back to Auswalk after 2 years abroad. Besides being the resident marketing guru, she’s the go-to for everything computer-related in the office. Maja also enjoys a good joke as much as a good walk. Anywhere in Tasmania is top of her list. 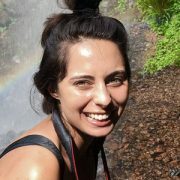 Sanyana is a traveller with a real soft spot for Italy, having studied in Milan. But her travels haven’t been limited to just Italy, as she’s visited most cities in Europe and explored much of Asia. 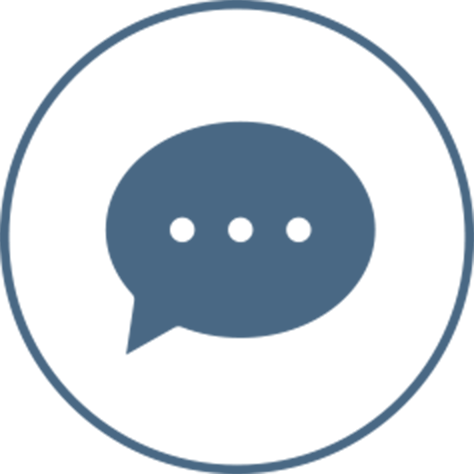 Sanyana is our expert on self-guided walks and is the one to talk to for those keen on walking independently. As our group-guided walk aficionado, Jackie has an attention to detail like no other. For this, her administration/executive assistant background comes in real handy. Like all good Australians, she’s spent time living abroad and continues to travel extensively whenever she has an opportunity. With a love for travel and nature, Magnus comes with an enthusiasm for walking and all that it brings. Having worked in marketing for global brands and in advertising for various tourism industry businesses, he is passionate about promoting eco-tourism. Having fallen in love with walking a long time ago, Magnus relishes discovering that next trail. 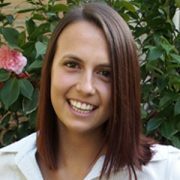 Studying tourism led Sophie to work with Qantas, giving her a broad knowledge of the inner workings of a major tourism player. Building on that experience, she moved on to organising tourism events, including golf tours. Par for the course, she’s been converted into an avid walker herself.